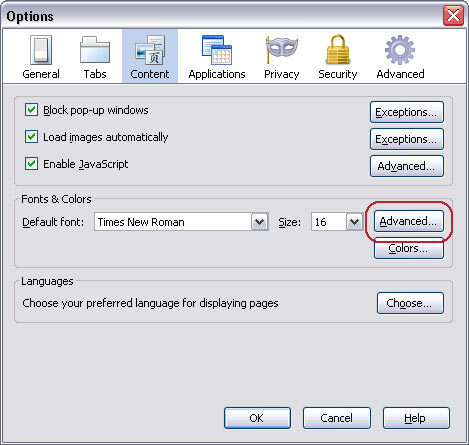 Alternatively you can press 'Ctrl' and '+' to increase the text size, 'Ctrl' and ' - ' to decrease the text size. ' 'Ctrl' and ' 0 ' returns you to the default 'normal' size. 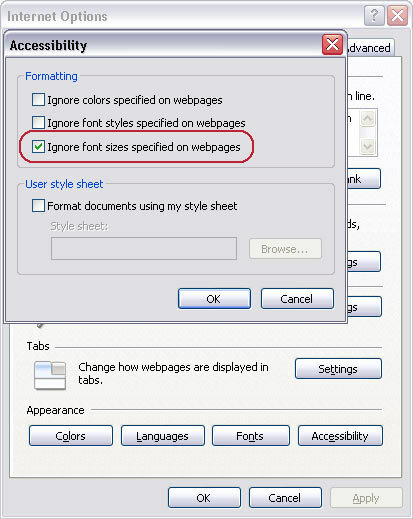 In the Fonts & Colours box click on ' Advanced ' , or press ' Alt ' + 'D' , to open the ' Fonts ' dialog box.see Fig 1 below). 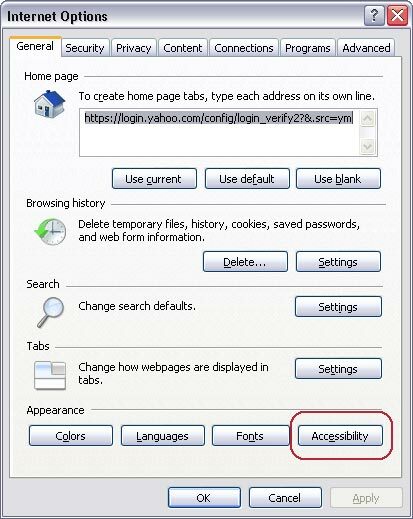 Click ' OK ' button or tab to ' OK ' button and press ' Enter '. 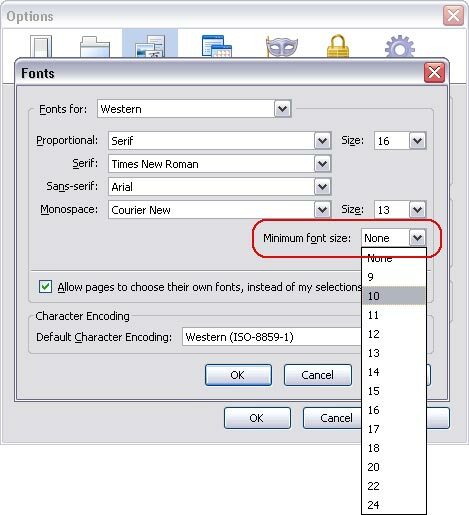 Choose your preferred text size by clicking on it or by using the up and down arrow keys to select it and then press ' Enter '. 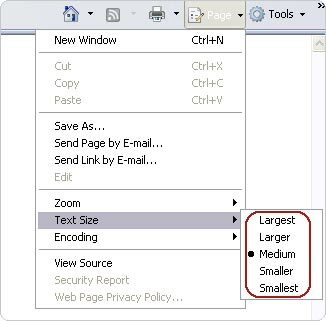 press the '-' key to decrease the size of the text and images.